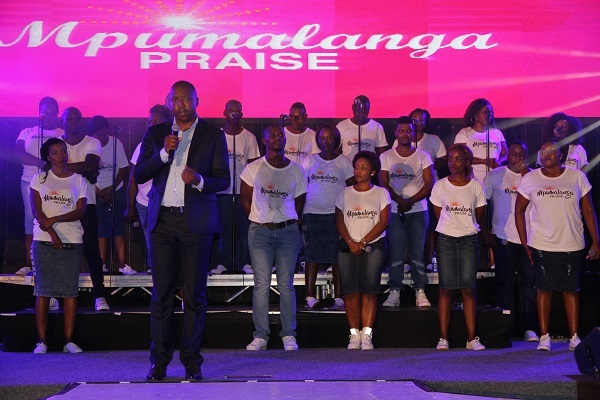 Politicians, industry pundits and fans recently thronged the grand Church on the Hill (COTH) auditorium in Mpumalanga for the launch of Mpumalanga Praise’s debut album. The album, Live at Church on the Hill, was recorded last year at the same location. The proceedings at the launch were organised to the letter but the performances were something to write home about. Spotted at the show were Mpumalanga MEC for education Reginah Mhaule and Steve Tshwete Local Municipality executive mayor Mike Masina. Also at the event, Mpumalanga ANC Youth League deputy president Desmond Moela was so moved by the ensemble’s performance he compared them (Mpumalanga Praise) to Joyous Celebration. Desmond also announced that a tour bus would be donated to the 36-member ensemble whose touring schedule is about to get hectic. Other prominent crowd-pleasers who graced the occasion include former Joyous Celebration Phindile Phoky, Thobekile and Thinah Zungu. In other news, Sipho will be flying out to the UK for Easter gigs. He’ll be travelling with members of Mpumalanga Praise.